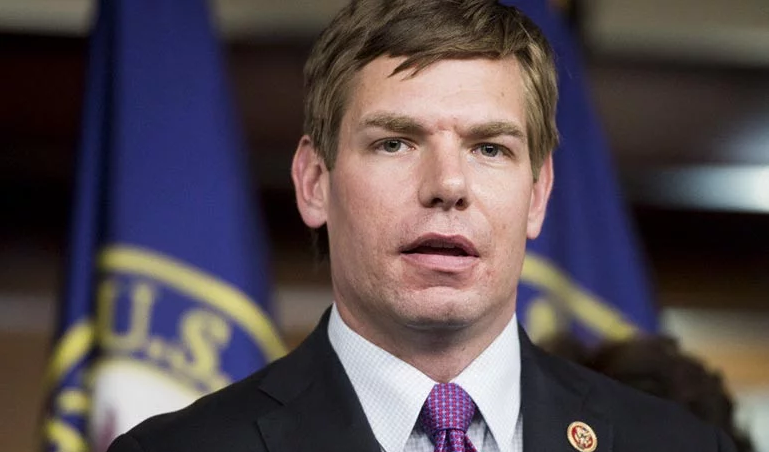 Rep. Eric Swalwell - who sits on the House Intelligence Committee - has doubled down on his claim that President Trump is a Russian agent because nobody has been able to conclusively disprove all of the claims in the Steele Dossier. "The charges were dismissed, yet we all believe we know what happened because of the evidence that exists in the case," said Swalwell. "I saw evidence and the country has seen evidence of collusion. Bob Mueller has said that he can't prove it beyond a reasonable doubt, which I accept, but it doesn't mean there wasn't collusion," he added. MacCallum took issue with the Smollett comparison - noting that Mueller's conclusion of "no collusion" came after "two years of investigation [in the collusion case] and 2,800 subpoenas, 500 lawyers, 500 interviews, you've had 19 lawyers who've been working on this," adding "Some of the top lawyers in the country have worked on this. So there's a very big difference between the Smollett case which never saw the light of day, and what we've watched over the past couple of years." Next, MacCallum played a clip of Swalwell telling MSNBC host Chris Matthews that he thinks Trump is a "Russian agent," insisting "I haven't seen a single piece of evidence that he's not." Asked to explain his comments and provide evidence, Swalwell told MacCallum: "I think he acts on Russia's behalf and he puts Russia's interests ahead, too often, of America's interests," adding "The evidence is that he seeks to reduce the role of NATO -- that's Russia's position. He's pulled out of Syria -- that's Russia's position." MacCallum shot back - "He's also ramped up our ... offensive help to the Ukraine," which Swalwell interrupted - claiming that taking an adversary's position somehow makes one an "agent" of said adversary. Also on Tuesday, CNN analyst and retired lieutenant colonel Ralph Peters told host Anderson Cooper "I can’t let it go. I can’t let it go. The Steele dossier rings true to me." In short, both Swalwell and Peters have discarded the Mueller's extensive investigation and are instead choosing to believe what's contained in a Russian-sourced dossier compiled by a former UK spy, who admits it's not a "finished product," and parts of which former FBI director James Comey called "unverified and salacious." TDS appears to be very real.